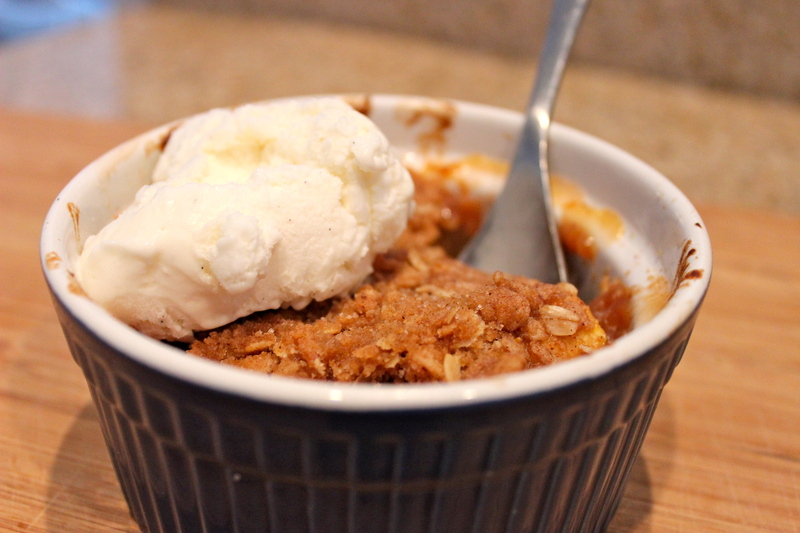 My husband, Matt, was craving apple crisp so I decided to fulfill his request…and to mix it up a bit and create my own recipe highlighting the perks of summer. 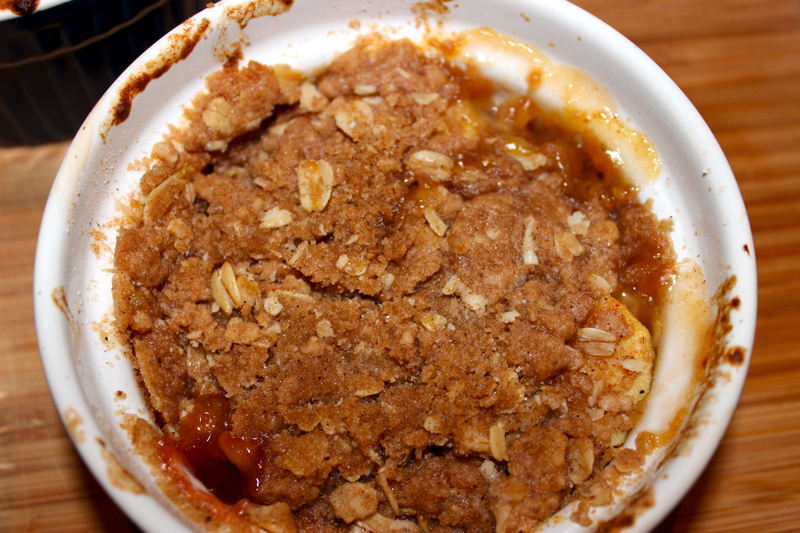 Since apple crisp reminds me of fall (and there is no way that I’m ready for fall yet), I knew I had to add my own summery twist to a classic. I have been obsessed with peaches this summer, so they were an obvious choice to incorporate into my recipe redo. I also have a huge (seriously–almost an addiction) to sweet cherries. We lived in MI for a while and the only perk of living there was how cheap the cherries were during the season. My habit has become quite expensive since we’ve moved–but I refuse/can’t give them up. A few of my favorite things all wrapped into one yummy, bubbling morsel? Yes, please. I decided to make a small batch since we are trying to eat healthy/minimize junk…but still feed our cravings so we wouldn’t splurge elsewhere. 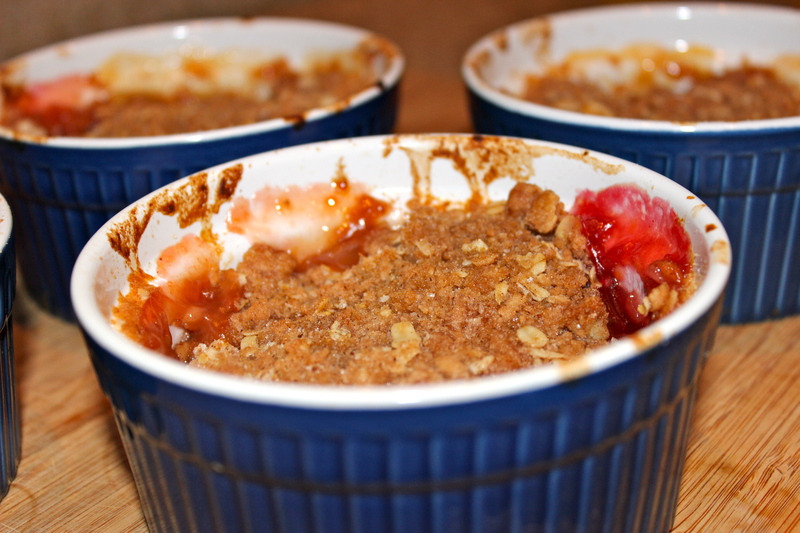 I came up with a super yummy recipe that makes 4 individualized portions of Peach, Apple, & Cherry Crisp. Enjoy!